I also know people who arrange their schedules to work out in the morning to avoid the worst pollution. But how accurate are our intuitions? 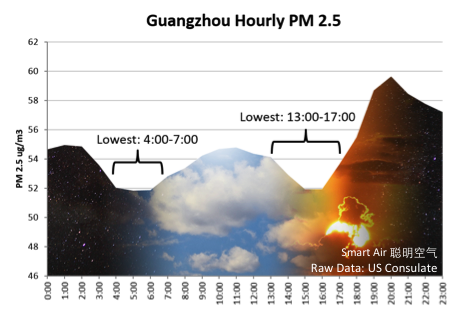 Instead of during the quiet of night, it’s the afternoon–right around rush hour–that PM 2.5 is the lowest. So if you’re planning a picnic or insist on exercising outside, you’re usually best off between noon and 6pm. 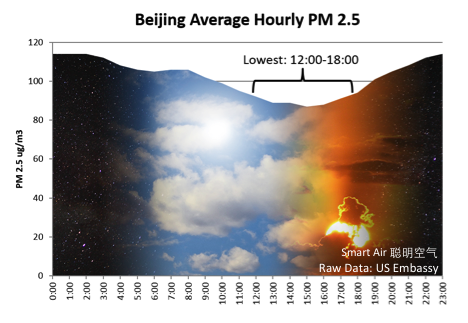 Is that how PM 2.5 generally works, or is it unique to Beijing’s activity or climate? Fortunately, US consulates in several other cities publish their historical data. 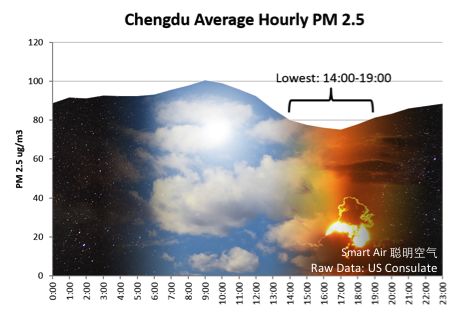 The pattern in Chengdu is similar. 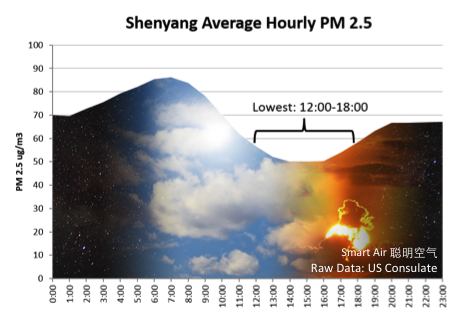 PM 2.5 is lowest in the afternoon and highest in the morning. 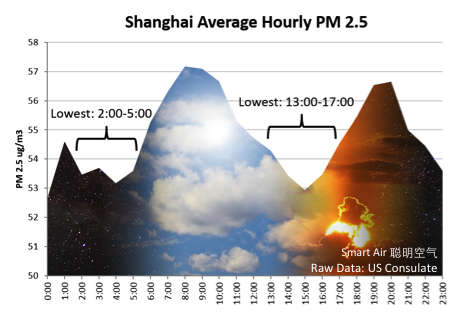 Guangzhou’s pattern was virtually identical to Shanghai’s: a dip in the very early morning and a dip in the afternoon. Bottom Line: When is it safest to be outside? 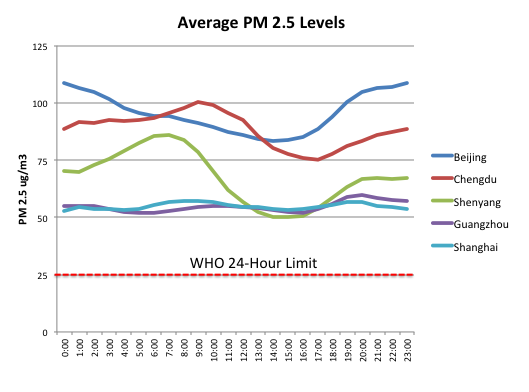 In all five cities, the afternoon had the lowest PM 2.5 levels. 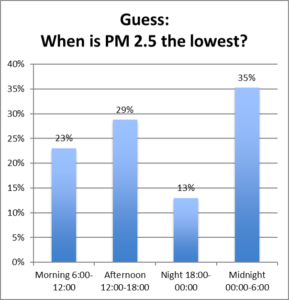 And in contrast to many people’s intuition, the night time had the worst air in several cities. Thus, you’re usually best off organizing your picnic or tai chi in the afternoon. But keep in mind that the air is NEVER safe on average in any of the five cities at any time of day. So take “safest” with a grain of salt! All of the data is available from the US embassy and consulate websites. Thanks to Josh Malina for collecting and analyzing the consulate data.